Great food, great friends and lots of fun! 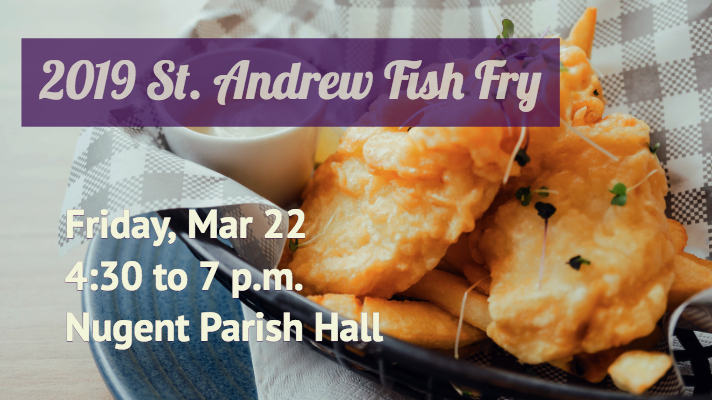 This is what the parish fish fry has been about for more than 20 years. Want your dinner to go? You can do that also. Click on the carryout link below to submit your order that will be ready when you are! Visit our Signup Genius volunteer page (link below) for complete details, including times and responsibilities. Can’t work a shift, please consider dropping off a dessert in Nugent Parish Hall before 4 p.m. on March 22. BONUS: All volunteers who work a shift can purchase a meal for $4.